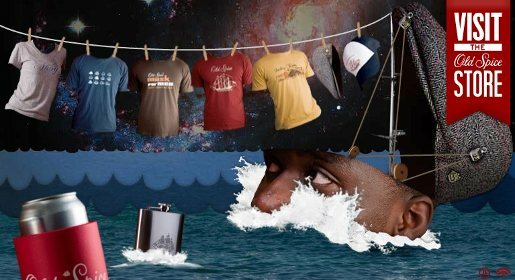 Old Spice, the Procter & Gamble scent range for men, is going through a makeover, with the launch of a fresh online store and “Manmercials”, the Youtube channel. “Smell like a Man, Man”, introduces an African American actor, Isaiah Mustafa, to the range of Old Spice spokesmen, targetting both women and men. “The Man Your Man Could Smell Like” begins with a compare and contrast exercise, talking to the ladies. “Did You Know” is for the men, with the question, “Did you know that women prefer Old Spice?”. They’re not saying this body wash will make your man smell into a romantic millionaire jet fighter pilot, but they are insinuating it. Did You Know? Don’t smell like sunsets and baby powder. Smell like jet fighters and punching. 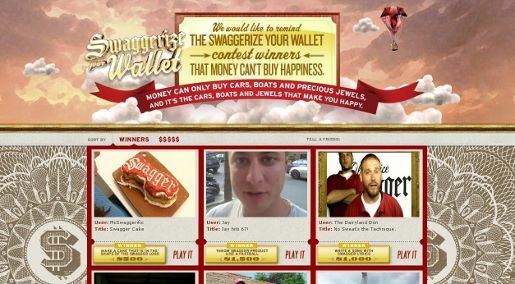 The Old Spice store and YouTube channel link in with the video campaign, incorporating previous work on the Swaggerize Me merchandise campaign. The Manmercials were developed at Wieden+Kennedy, Portland, by executive creative directors Mark Fitzloff and Susan Hoffman, creative directors Jason Bagley and Eric Baldwin, art director Craig Allen, copywriter/art director Eric Kallman, agency executive producer Ben Grylewicz, agency producer Erin Goodsell, account team Diana Gonzalez and Jess Monsey. The E-Store was developed at Wieden+Kennedy Portland by SA Peter Yue, Aaron Lee and Angie Maurer, SM Joe Favre and Maya Roberts, PM Jane Monaghan and Jason Schwartz, AE Diana Gonzalez, AAE Taryn Lange, interactive producer Ann-Marie Harbour, digital director Sean O’Brien and digital designer Mark Shepard. Filming was shot by director Tom Kuntz via MJZ, Los Angeles, with executive producer Jeff Scruton, producer Scott Kaplan and director of photography Neil Shapiro. Editor was Carlos Arias at Final Cut with post executive producer Saima Awan. Visual effects were produced at The Mill, Los Angeles, by VFX supervisor Phil Crowe and producer Arielle Davis.